Your AR rifle is not complete without a HIVIZ AR sight. The nearly indestructible AR2008 comes with interchangeable LitePipes in both green and red for extra customization, and features a detent plunger to tighten engagement and prevent any side-to-side movement of the sight. 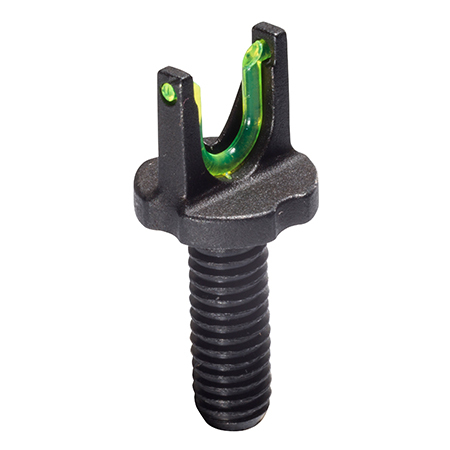 This sight is easy-to-install and replaces all types of AR 15 sights. Fit Details: Fits AR and M4 rifles with A-Frame or folding front sights, including both fixed and detachable.